Is there a better alternative to Easy Music Converter? Is Easy Music Converter really the best app in Music category? 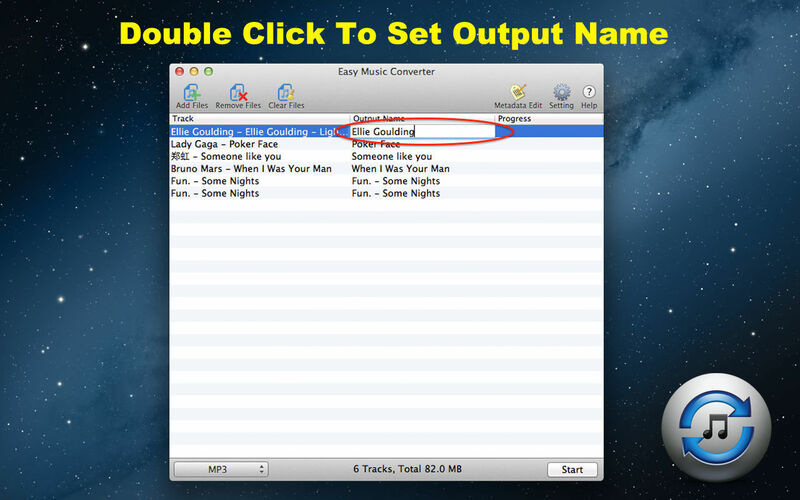 Will Easy Music Converter work good on macOS 10.13.4? 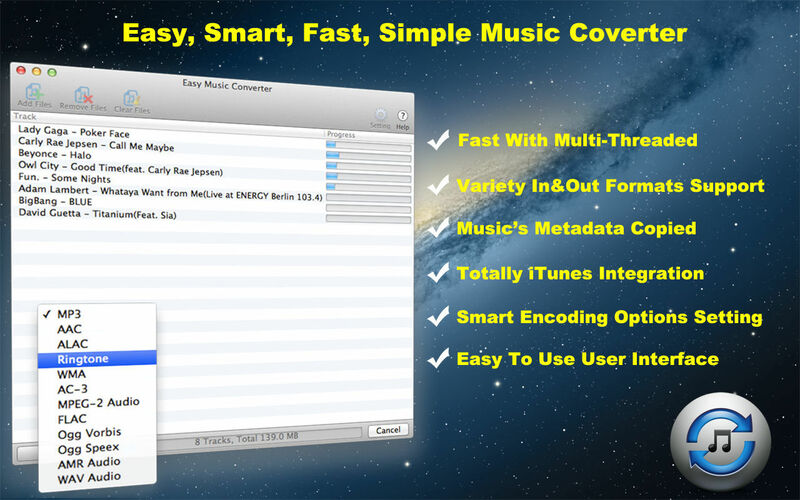 Easy Music Converter is multi-threaded and can batch convert at once . Easy Music Converter needs a review. Be the first to review this app and get the discussion started! Easy Music Converter needs a rating. Be the first to rate this app and get the discussion started! 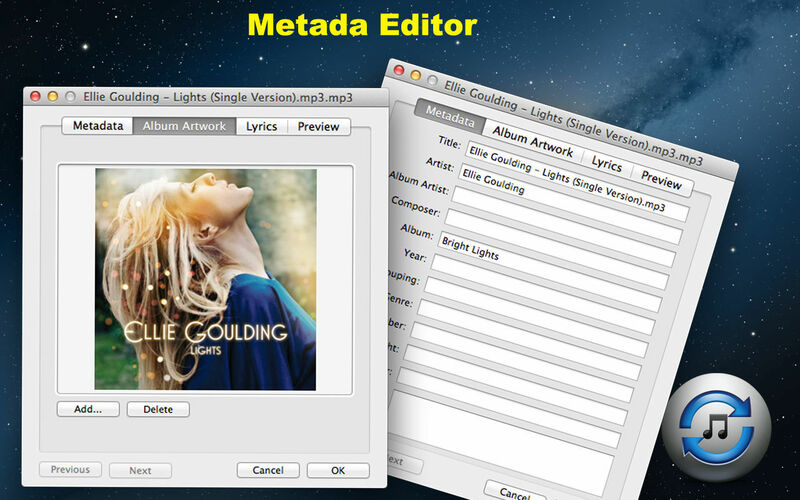 Export supported encoded files directly to your iTunes library with custom iTunes playlists. 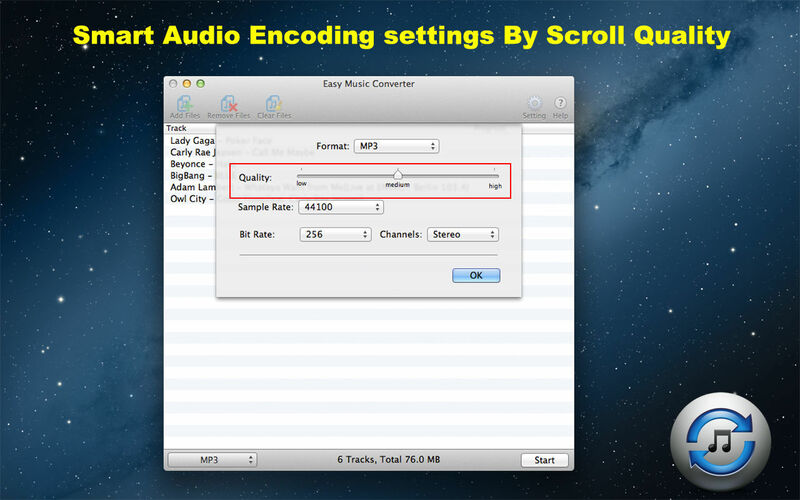 Easy music converter provides you with a full range of encoding options for every available codec (Sample rate, Bit rate, Channels). 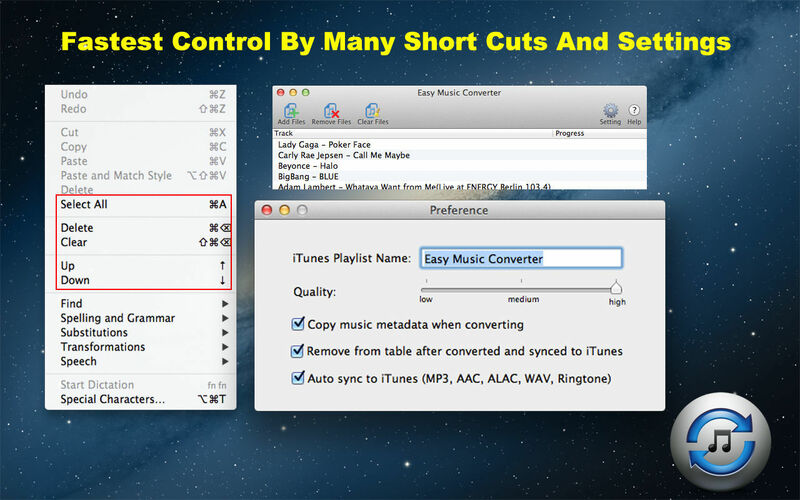 Convert musics so easy with only dragging and clicking start. *DRM protected files are not supported.